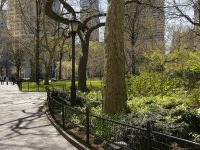 Replacing conventional building boilers with electric heat pumps in New York City buildings could substantially increase the viability of renewable energy use in the city, according to a recent study from researchers from the Earth Institute’s Sustainable Engineering Lab. The study, by Michael Waite and Vijay Modi, was published last April in the journal Applied Energy. In it, the authors modeled hourly electricity and fuel heating demand in New York City and compared it with hourly wind speeds at 66 potential wind turbine sites in New York State. They then analyzed how various levels of hypothetical heat pump use would affect the percentage of installed wind energy that could be utilized in a given year. 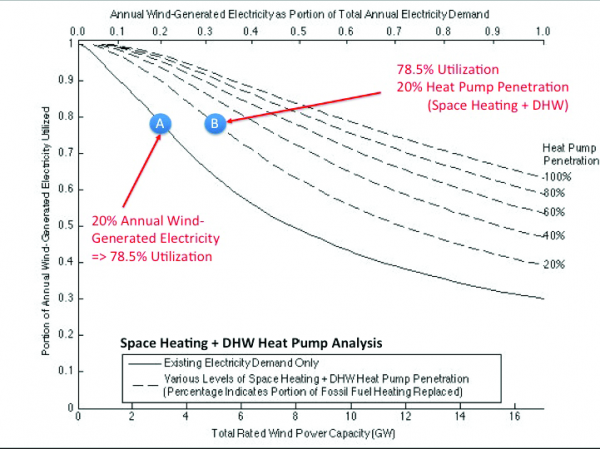 Waite and Modi found that increased use of heat pumps for domestic hot water and space heating could significantly increase the utilization rate of wind-generated electricity while reducing carbon emissions much more than wind power alone. The results also suggested that increased market penetration of heat pumps could reduce the per-unit cost of wind electricity. Outdoor components of a residential air-source heat pump. Source: Wikimedia commons. Heat pumps are electrical appliances that work in manner similar to refrigerators, moving heat from cool spaces to warmer ones. They can be used as both space heaters and air conditioners, as well as providing hot water. In warmer climates, heat pumps have long been considered one of the most efficient options for heating and cooling a building. 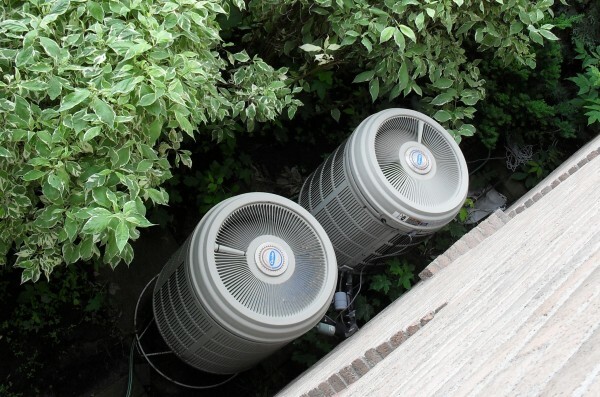 Recently, however, heat pumps have attracted interest for cooler climates such as New York City as well, which will need to move away from oil and natural gas furnaces to reduce fossil fuel emissions. A study published by Stanford researchers last year that laid out a road map for New York State to become 100 percent renewable by 2030 relied heavily on converting building space heating to heat pumps to make the transition. 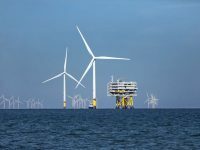 That study also relied on extensive building of both on- and off-shore wind power. Wind Power Plant Growian. Source: Drop via Pixabay. Because of the density of population and the concentration of energy use relative to geographical size, it would be virtually impossible to generate all of New York City’s energy use from renewable sources within the city borders. According to a 2003 NYSERDA study, by 2022 New York City will account for 33 percent of New York State’s total electricity demand, but has only 2.2 percent of statewide economically viable renewable energy potential. And this doesn’t take into account heating and hot water, which now comes mostly from burning oil and natural gas on site. In order to reduce its emissions, the city will have to rely on renewable energy generated elsewhere—mostly likely wind. In New York State however, wind resources do not necessarily align with peak demand. Typically, for conventional fossil-fuel generated electricity — coal, natural gas or oil — the cost of the electricity is largely dependent on the cost of the fuel itself. By contrast, for renewable energy, the fuel—wind, sun or water—is essentially free, which means that the cost of the electricity is most dependent on the upfront cost of building the wind turbine, solar installation or hydroelectric dam. As long as the amount of electricity generated from renewable sources remains relatively low, the utilization rate of those sources—the percentage of electricity used as it is generated—remains high. However, because the times when wind-speeds are the highest (or the sun is the strongest) don’t necessarily coincide with the times when demand for energy is the greatest, as the percentage of renewable electricity generation grows, the more generation needs to be built to meet peak demand, and the more excess energy produced at non-peak times has to be stored or “shed” — and the more expensive the per-unit cost of that electricity becomes. According to Waite’s analysis, if New York City installed enough wind power to meet 20 percent of total annual electricity demand, about 80 percent of that electricity could be used immediately as it was generated. But if the city decided to install enough wind power to meet 80 percent of the city’s electricity needs, it would have to overbuild to meet summer air-conditioning demand; this overbuilt capacity would then produce excess electricity in the winter, and the utilization rate would fall to between 30 and 40 percent. If, however, the city changed building heating systems from oil or natural gas boilers to heat pumps, which both cool and heat, they would cool buildings more efficiently in summer and make more use of winter wind energy, while reducing the amount of oil and natural gas burned in buildings for heat. “Right now we have a scenario where the peak electricity demands are during the day, late afternoon in the summer. What we’re going to end up seeing if we bring on a lot of heat pumps or electric heating of any kind, is that the new demand peak is going to be in the winter at some point—probably early morning,” says Waite. 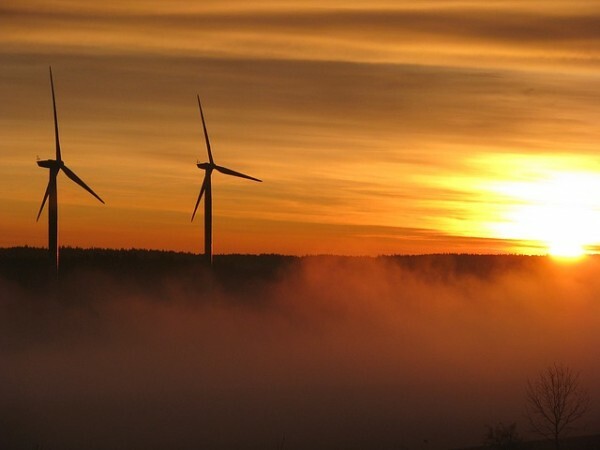 This would increase the utilization rate of installed wind—or, looked at another way, increase the amount of wind generation that could be installed at the same utilization rate. For example, under current conditions, if 80 percent utilization were required to make a installed wind power economical, the city could afford to install enough generation to meet 20 percent of its annual electricity demand. But if 20 percent of buildings switched to heat pumps for heating and hot water, the city could instead meet 30 percent of its total electricity demand at the same 80 percent utilization rate. If the the city converted 100 percent of building heating to heat pumps, it could meet over 60 percent of total electrical demand with wind power at the same 80 percent utilization rate—in other words, without increasing the per unit cost of electricity. According to Waite, this may be the most important finding of the study. Space heating and domestic hot water analysis. Source: Michael Waite. Waite, who was a sustainable building design engineer and policy analyst before starting his PhD program at Columbia, believes that this strategy of adding heat pumps along with wind installations, combined with a more efficient use of natural gas through distributed cogeneration, may be the most effective transitional approach for reducing emissions in cities such as New York.